With the number of avenues available to communicate a message today, it would seem that emergency communication systems are always effective in their goal of informing people of a situation that requires their attention and action. But despite the extensive presence of smartphones, computers, monitors and more, there’s no guarantee that a message is going to be heard. In order for an emergency communication system to be successful, its operators need to have considered the following 5 critical components of its operations, well in advance of any emergency. Learn more in our blog. What are the essential components of an emergency communication system? In terms of intelligibility, we’re talking about public address systems, both inside and outside a facility. A louder volume does not necessarily translate into a more intelligible message. In fact, it could very well be the opposite. Above all, consistency in volume levels is most important. If the facility uses live voice broadcasts, the operator should be trained in this regard. While the potential for inconsistency is greater with a live broadcast, the flipside is that the operator can provide updates in real time and speak using a tone of voice that conveys the relative seriousness of the situation. There is a key difference between a message and an alert. 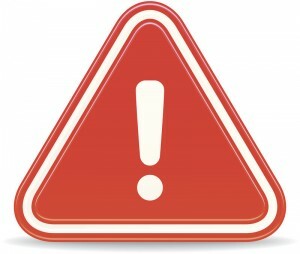 An alert is intended to get the attention of people, while a message is intended to provide information they can then use to react to an emergency situation. Alerts should be distinct and serve notice that an emergency situation is in progress and a message is forthcoming. We talked about the importance of layering the message by distributing it across multiple mediums in a previous blog. Redundancy is the idea that updates should be distributed as the situation changes in order to keep recipients apprised of what’s happening in real time. Layering and redundancy are both critical in that they help convey the seriousness of the situation. Emergency communication systems aren’t much good if real-world operational planning is lacking. Operators should have message templates for various potential emergencies ready in advance. Protocols for message delivery, layering and redundancy should be set up in advance, and tested to determine their effectiveness. When an emergency comes, this extra preparedness could make a huge difference. Security systems work better when they can work together. Unifying an emergency communication system with other components of a facility’s security system is another method of layering that results in a stronger, more efficient infrastructure. This entry was posted on Thursday, July 16th, 2015 at 1:07 pm. Both comments and pings are currently closed.